A brief overview of new drugs approved by the FDA between October 20 and December 1, 2017. On October 20, 2017, the FDA approved golimumab (Simponi Aria; Janssen Biotech), a fully human tumor necrosis factor–alpha inhibitor, for the treatment of adult patients with active psoriatic arthritis (PsA) or ankylosing spondylitis. Golimumab was previously approved by the FDA for the treatment of patients with moderately to severely active rheumatoid arthritis in 2013. The FDA approval of golimumab was based on the results of 2 randomized, double-blind, placebo-controlled, phase 3 clinical trials—the GO-VIBRANT trial for patients with PsA, and the GO-ALIVE trial for patients with ankylosing spondylitis. Primary end points were achieved in both trials, and demonstrated significant improvement in a higher number of patients with PsA and with ankylosing spondylitis who received golimumab than received placebo. “There is a need for new treatment options for patients with psoriatic arthritis. The results of the Phase 3 study of intravenous (IV) golimumab in patients with psoriatic arthritis demonstrated significant and clinically impor­tant efficacy across various domains including the inhibition of structural damage. The approval of IV golimumab for the treatment of active psoriatic arthritis brings an important new treatment option to patients, especially those who prefer IV administration, and offers one with a 30-minute infusion time,” said Arthur Kavanaugh, MD, Professor of Medicine, University of California San Diego, and Chair of the GO-VIBRANT steering committee, in a press statement by Janssen Biotech. In the GO-VIBRANT trial, a higher proportion of patients achieved ≥20% improvement in American College of Rheumatology response at week 14 with golimumab (75%) than with placebo (22%). In the GO-ALIVE trial, a higher proportion of patients achieved ≥20% improvement in Assessment of Spondyloarthritis International Society criteria at week 16 with golimumab (73%) than with placebo (26%). The most common side effects associated with the use of golimumab include upper respiratory infection, abnormal liver tests, decreased blood cells, viral infections, bronchitis, high blood pressure, and rash. On October 23, 2017, the FDA approved the zoster vaccine recombinant, adjuvanted (Shingrix; GlaxoSmithKline), a nonlive, recombinant subunit vaccine, for the prevention of shingles in adults aged ≥50 years. The vaccine is administered intramuscularly in 2 doses. “Shingrix represents a significant scientific advancement in the field of vaccinology. The vaccine has shown over 90% efficacy across all age groups in the prevention of shingles, a painful and potentially serious disease that affects 1 in 3 people in the United States. The risk and severity of shingles increases with age as the immune system loses the ability to mount a strong and effective response to infection. Shingrix was developed specifically to overcome the age-related decline in immunity,” said Thomas Breuer, MD, MSc, Senior Vice President, Chief Medical Officer, GlaxoSmithKline Vaccines, in a press statement released by the company. The FDA approval of the vaccine was based on data from a comprehensive phase 3 clinical trial program evaluating its efficacy, safety, and immunogenicity in >38,000 patients. A pooled analysis of the trials in this program demonstrated the vaccine’s efficacy against shingles as being >90% across all age-groups, and showed sustained efficacy over a 4-year follow-up period. In addition to preventing shingles, the vaccine also reduced the overall incidence of postherpetic neuralgia. The most common side effects associated with use of the vaccine include pain, redness, and swelling at the injection site; muscle pain; tiredness; headache; shivering; fever; and upset stomach. On December 1, 2017, the FDA approved ixekizumab (Taltz; Eli Lilly), a humanized interleukin-17A antagonist, for the treatment of adult patients with active PsA. 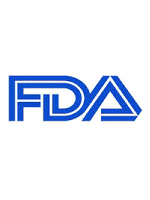 Ixekizumab was previously approved by the FDA for the treatment of adult patients with moderate-to-severe plaque psoriasis who are candidates for systemic therapy or phototherapy, or a combination of both in 2016. Ixekizumab is administered via a subcutaneous injection. “PsA is a chronic, progressive, and painful form of inflammatory arthritis that impacts approximately 1.6 million Americans living with the disease. We are proud to offer a treatment option that can provide improvements in joint symptoms for these patients, further demonstrating Lilly’s overall commitment to immunology,” said Christi Shaw, President, Lilly Bio-Medicines, in a press statement released by the company. The FDA approval of ixekizumab for the treatment of PsA was based on results from 2 randomized, double-blind, placebo-controlled phase 3 trials—the SPIRIT-P1 trial that compared ixekiz­umab with placebo in patients with active PsA who were never treated with a biologic disease-modifying antirheumatic drug, and the SPIRIT-P2 trial that evaluated the drug in patients with active PsA who had failed treatment with ≤2 tumor necrosis factor inhibitors. In SPIRIT-P1, 58% of those treated with ixekizumab 80 mg every 4 weeks had achieved a 20% reduction in a composite measure of disease activity as defined by the American College of Rheumatology response at 24 weeks, compared with 30% among those receiving placebo. In SPIRIT-P2, 53% of those treated with ixekizumab reached that end point at 24 weeks, compared with 20% of those receiving placebo. The most common adverse reactions associated with the use of ixekizumab are injection-site reactions, upper respiratory tract infections, nausea, and tinea infections.